A 70's Disco Kit including a Black Afro Wig and matching adhesive Moustache – Ideal for a 70s theme, 118 theme or any fancy dress occasion! With this funky 70s Disco Kit, you’ll be looking the part in no time! This 70s Disco Kit comes with a Black Afro Wig and matching Moustache. 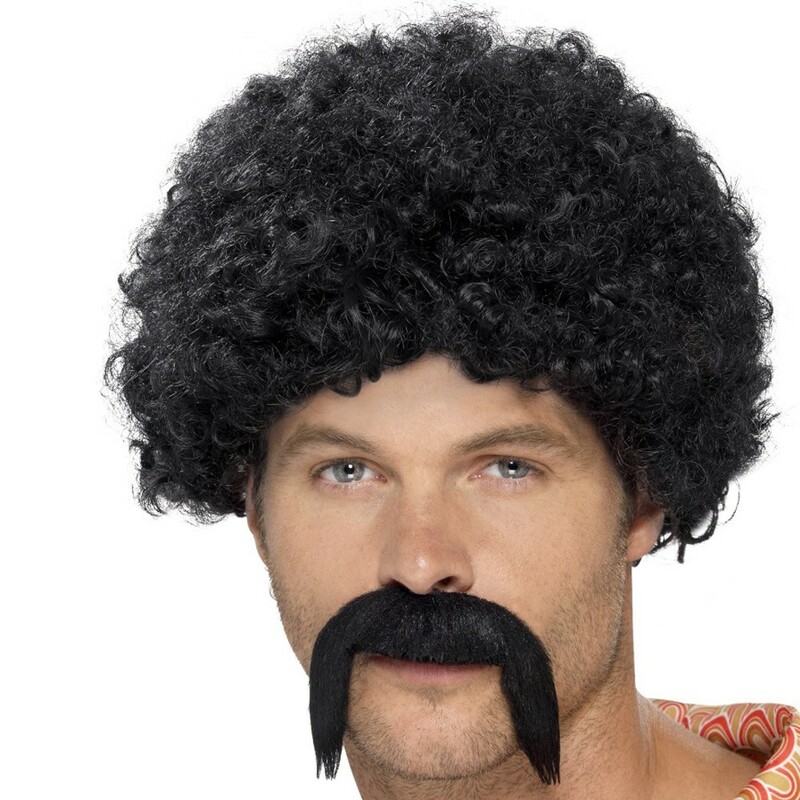 This Curly black Afro Wig will be sure to transform any look in no time also in this 70s Disco Kit is a matching black Moustache, which is self-adhesive for that finishing touch. Perfect for a 70's theme, a Decades theme, a TV & Film theme, or any fancy dress occasion. This brilliant 70s Disco Kit will be sure to add the perfect finishing touch no matter what the occasion! So get on the dance floor in style with this fantastic 70s Disco Kit!